A bit away from gringolandia which is a good thing ! 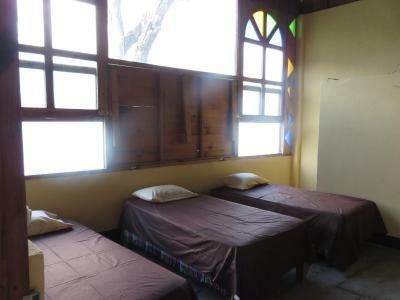 The room was spacious and had all the basic necessities. 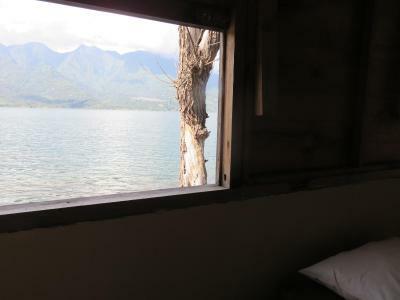 The view of lake and mountains was very nice. 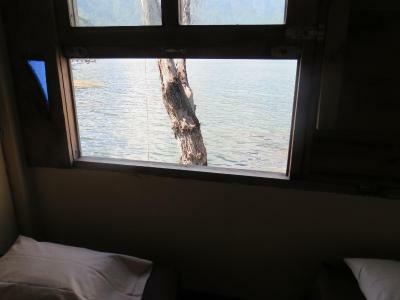 Super nice lakeview! Delicious breakfast & charming rooms. 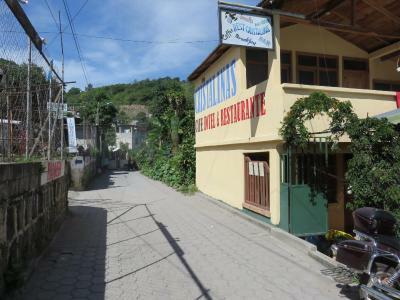 The location was really central and the breakfast was included and tasty. The personal is friendly. 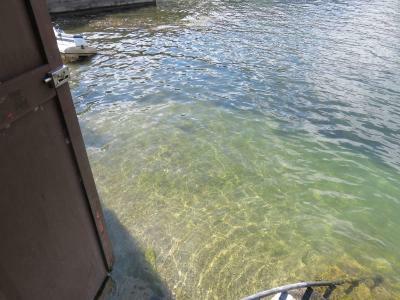 Just by the lake, very good breakfast, nice staff - they don’t charge extra for using credit card! 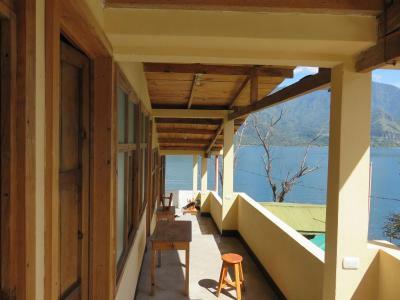 This is a very good budget place for a backpacking couple tierd of noisy hostels. The staff is really kind and accommodating. You get a lot of options for breakfast which is included. 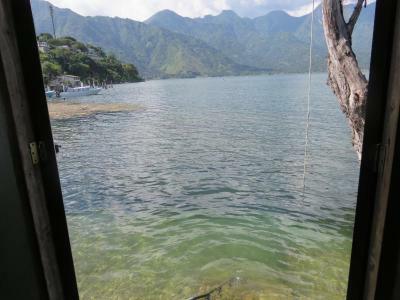 Location is great and the hammock with a lake view outside our room was really nice. The room was spacious and clean! 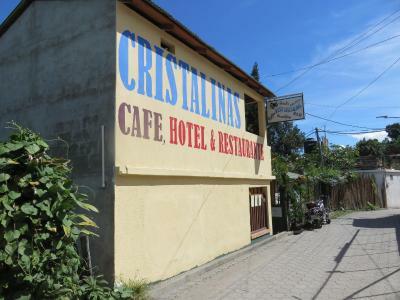 Cristalinas Cafe, Hotel & Restaurant at Lake Atitlan This rating is a reflection of how the property compares to the industry standard when it comes to price, facilities and services available. It's based on a self-evaluation by the property. Use this rating to help choose your stay! 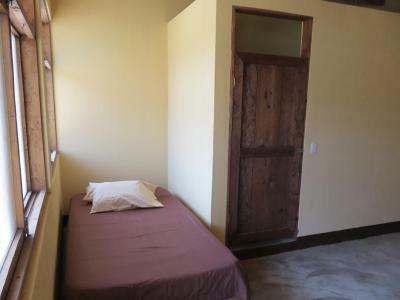 The colorful rooms here will provide you with a small seating area, a wardrobe and a private bathroom with a shower and toilet. 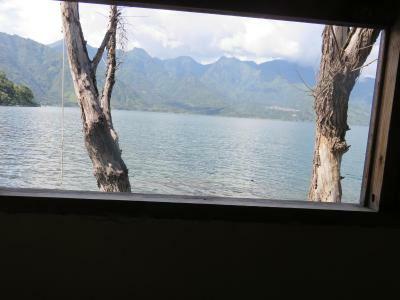 Some rooms feature views of the lake and mountains. At Cristalinas Cafe, Hotel & Restaurant you will find a garden and a tour desk. La Aurora International Airport in Guatemala City can be reached in a 3-hour drive. 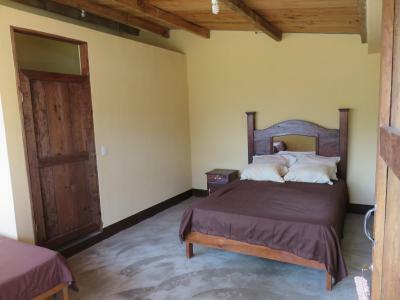 This property also has one of the top-rated locations in San Pedro La Laguna! Guests are happier about it compared to other properties in the area. 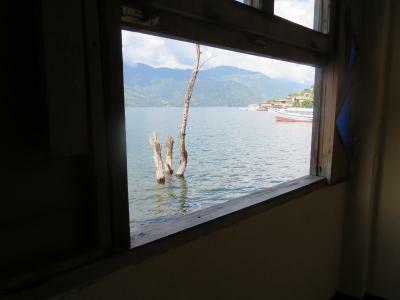 When would you like to stay at Cristalinas Cafe, Hotel & Restaurant at Lake Atitlan? 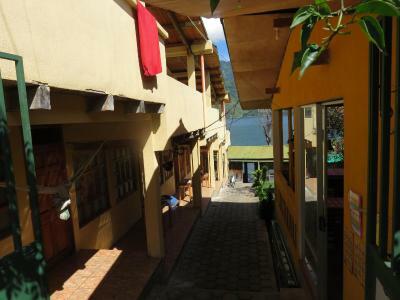 House Rules Cristalinas Cafe, Hotel & Restaurant at Lake Atitlan takes special requests – add in the next step! 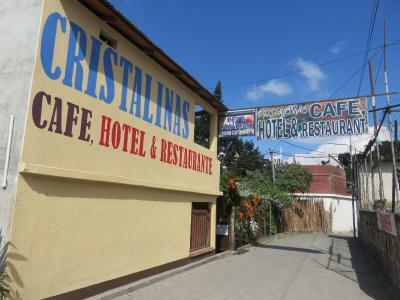 Cristalinas Cafe, Hotel &amp; Restaurant at Lake Atitlan accepts these cards and reserves the right to temporarily hold an amount prior to arrival. 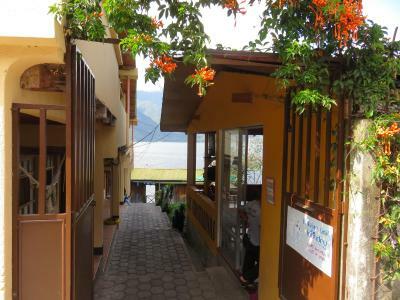 Cristalinas Cafe, Hotel & Restaurant at Lake Atitlan accepts these cards and reserves the right to temporarily hold an amount prior to arrival. Didn't have Hugh expectations so nothing was below what I expected. 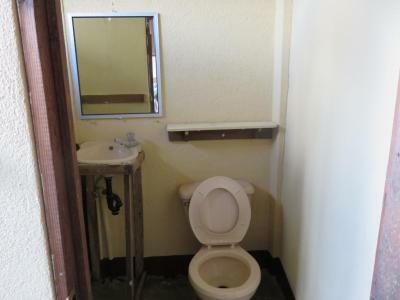 No cleaning of room for full stay, even though you trow used toiletpaper in an open garbage bin. 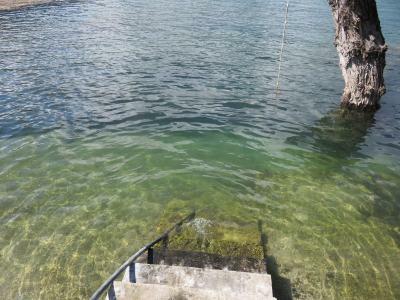 I booked it using booking.com iPhone app. 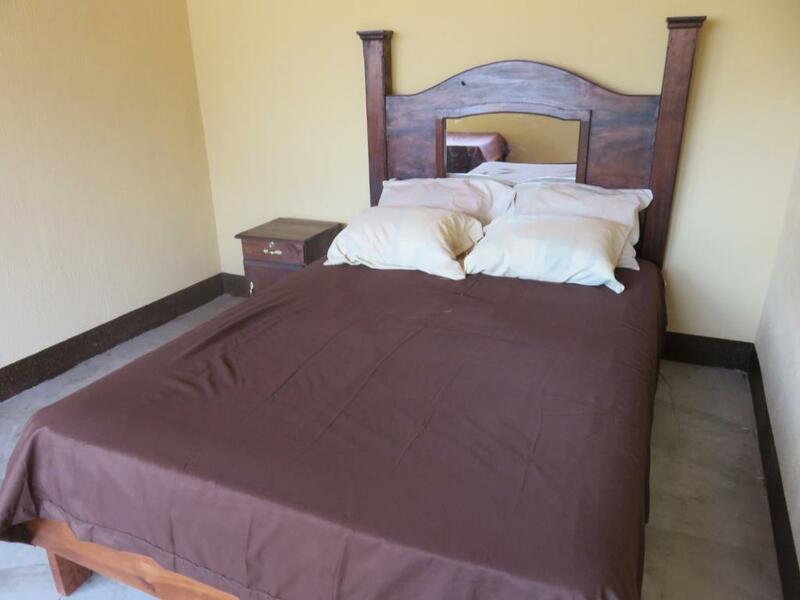 The room specifications looked different on the application and the corresponding website. 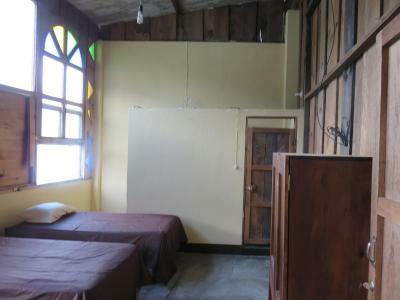 On the app it was presented as triple room for “single occupancy” whereas website (when I checked later ) as bed in dorm room. 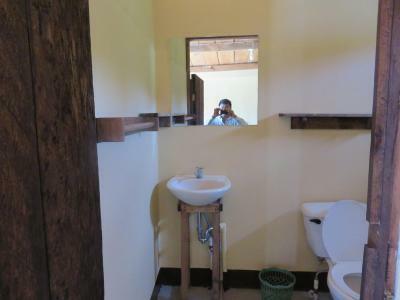 When I arrived it was a 5- bed dorm and initially they said that possibly more people will come. 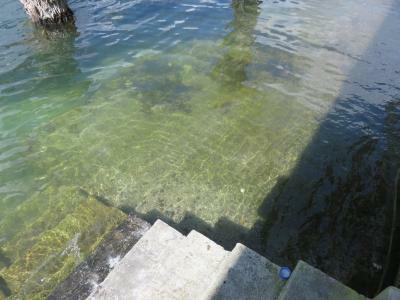 After complaining they agreed to be on my own ( it was the low season and not many people around). The price however 90GTQ did not make sense for dorm room - given that you can easily get a single room for 100 GTQ (even in the same hostel) in much more popular hostels... Also the website must give the full price otherwise it is also misleading when you have to add 22% of taxes to the price. Hence either booking.com provides poor service or the establishment is misleading the costumer. 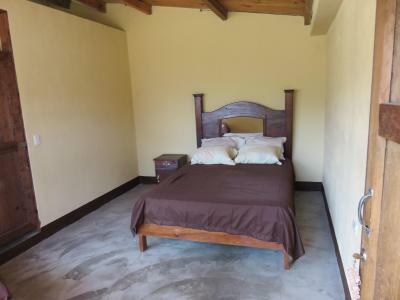 Beds are a bit hard, but not too bad. The second night a couple of new guests arrived and they made a lot of noise long into the night. 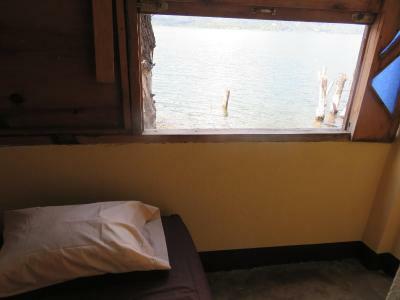 Since a few of the windows only have mosquito net, you can hear everything happening all around, which we this night did. It can also get quite cold in the room. We still recommends this place! Great breakfasts, included. 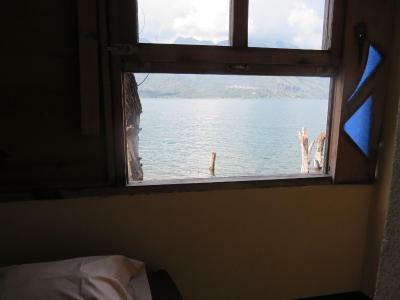 Using the hotel's kayak on Lake Atitlan. Alejandro, the apparent manager, was very helpful. 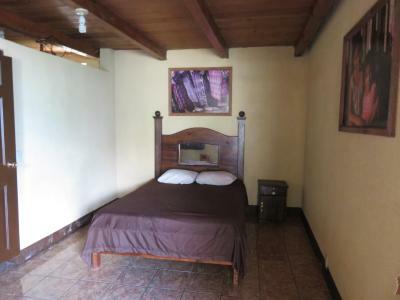 Avoid staying in dorm beds as this is directly outside where the family congregates for meals, singalongs, parties. One night a group came back at 3am. and continued to party until 5 am. 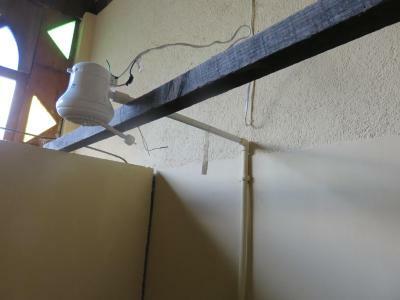 Very poor noise insulation. Could hear every out of tune song sung by the partiers to their music. The shower little cold and the WiFi not good.